Are package thefts covered under my homeowners policy? Join Tucker and Callie as they walk you through the answer regarding your insurance policy in the video below. If you have a question you’d like answered on Ask An Agent, contact us at 218-491-7855 or email info@hanlonandassociates.com. Callie: Hi guys, this is Callie, I’m a personal lines specialist here at Hanlon & Associates. We are here with the Tucker Hanlon to answer a couple of questions that have been submitted to us via Facebook or just a couple questions that have come into the office. 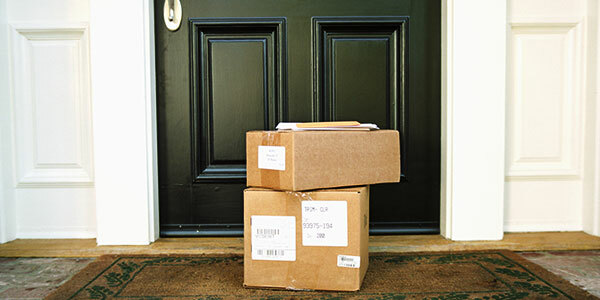 Our question today is: I’ve seen recent news coverage about the risk of leaving delivered packages outside my home. Are package thefts covered under my homeowners policy? Tucker: Well, the short answer to that question is yes. All of your personal property will be covered under your homeowners or rental insurance policy. However, most folks have a deductible that’s about somewhere about $500, perhaps $1,000, or even $2,500 and until you’ve met your deductible there really is no sense to put in a claim. If you’re going to have something delivered that’s over your deductible and it’s stolen, there would be coverage for that more than likely. But chances are, most things you have delivered to your house aren’t valued that high. Callie: If anybody has any other questions or would like to submit an answer, visit our Facebook page or give us a call here at the office. Have a happy and safe holiday season and keep an eye on those packages.